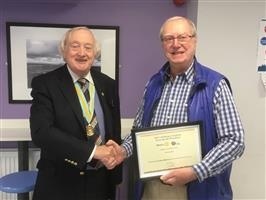 Welcome to Wensleydale Rotary Club's website! Please scroll/swipe down through this page to find out more about us, in addition to the pages linked in the menu, top-left. 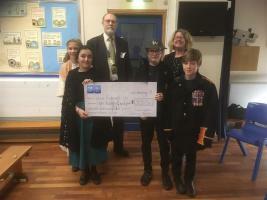 Wensleydale Rotary Club gives a small sum of money to each Primary School in the Dale and challenges them to increase it by whatever means for charity. 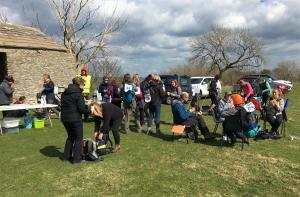 There was a record entry of over 500 this year, with conditions that were excellent for running, though cold for the walkers, and very cold for the marshals! Our members come from a variety of backgrounds, including farming, banking, business, education, and health. All enjoy the fun and friendship that Rotary offers, while also helping their own communities and those farther afield. To learn more about what we do, please explore this site and click on the links on "What we do". If you wish to know more about Rotary International, click on About Rotary. INTERESTED IN JOINING ROTARY? Please use the Contact Form in the menu at the top. We will then invite you to attend a meeting as a guest, with no commitment! If you have just moved into the Dale, you will find a ready-made group of friends who will help you settle into the community. This website short address is www.wensleydale.rotary1040.org . • Supported the Rotary International Stop Polio campaign with fundraising events. • Donated to Action Aid, Shelter and Syrian refugees. • Donated to Nepalese Goat project. • Donated to a charity funding computers to remote Nepalese schools. • Supported the national Kidsout Day. It’s when Rotarians across the country take disadvantaged kids for a fun day out. Whether they live with critical health issues, in refuge, with a disability or facing a tough domestic situation, are taken on a fun day out to the zoo, a theme park or even the seaside, often for the first time in their lives. Over 500 children were taken to Lightwater Valley for the day, accompanied by Rotarians across Yorkshire. 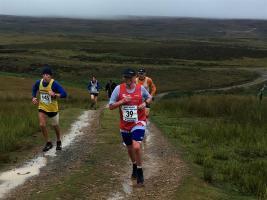 • Organised the annual Wensleydale wander where funds raised benefit local good causes. 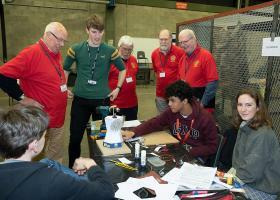 • Annual Technology Tournament, this year hosted at Catterick Garrison. The object of the tournament is to give children aged 12 – 18 an unseen Design and Technology problem to be completed in a fixed time. • Support Children attending Kings Club during the summer holidays. 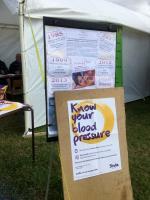 • Ran a Stroke Awareness tent at the Wensleydale Show. • Pay and transport a carer in the region for a week’s holiday in Scarborough. • Give local schoolchildren a Dictionary for life, to aid literacy. • School Bursary. 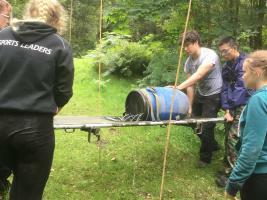 We were able to support 19 children in the area to attend courses and residential trips. Our Facebook page ran a Twelve Myth days of Christmas campaign to bust all the myths surrounding Rotary. We also had lots of fun with quiz nights, lawn bowls, quoits, visiting other Rotary clubs in the area, dominoes and a pancake evening.